Jakarta, March 13th 2017 - Archipelago International, Indonesia's leader in hotel management, this year celebrates its 20th anniversary. In 1997, founder Charles Brookfield set out with a vision to transform the industry. Over the course of the last 20 years, Archipelago made that vision a reality, as they pioneered the first condotel concept, started the budget hotel boom, championed cloud computing and jump started eCommerce in Indonesia before it became a household concept. 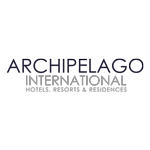 Archipelago International, Indonesia's largest hotel management company, is building on its growing success in the eastern part of Indonesia with two new hotels: Aston Canggu Beach Resort Bali and favehotel Jayapura Papua. Indonesia, December 2016 Recognized as one of the top hotel management companies worldwide and the number one hotel management chain in Indonesia, Archipelago International recently announces and welcomes a new senior member in Marketing division. 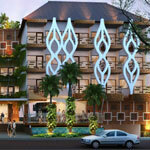 The first ever Harper Hotel by Archipelago International in Jakarta is opened in 2016. Following the success of the already-established Harper Kuta - Bali, Harper Mangkubumi - Yogyakarta, Harper Purwakarta, and Harper Perintis - Makassar, the brand new and stylish hotel Harper M. T. Haryono is opening its doors in Cawang, one of the busiest business districts in Jakarta. Indonesia, November 2016 Just in time for the season of giving, Archipelago International is delighted to announce the first five of twelve winners of its Archipelago Membership One Year Free Stay Giveaway worth hundreds of million rupiah in value. Winners were selected at random from the emails of guests who have downloaded the Archipelago Membership App. In addition to getting exclusive discounts and services, it also automatically entered each guest into the drawing.